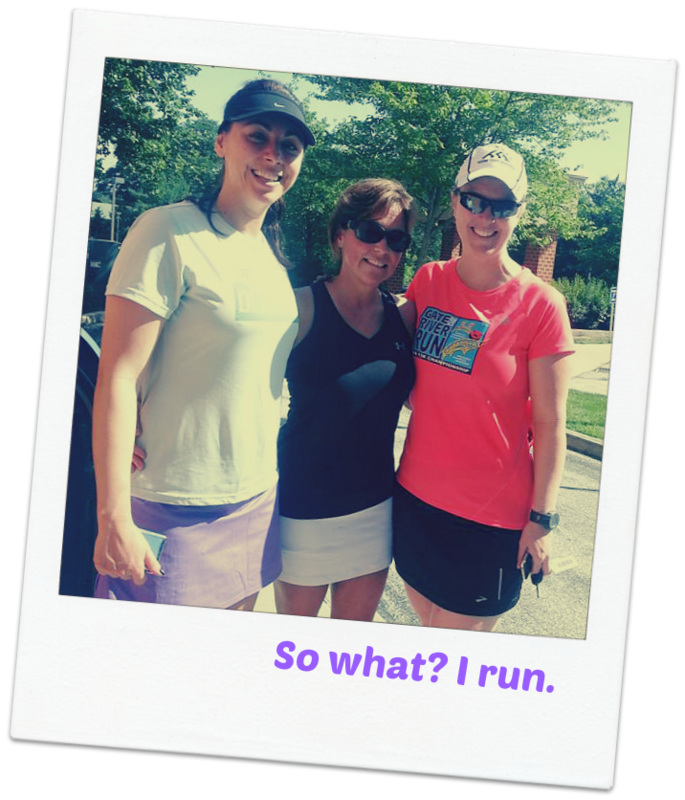 Marine Corp Marathon Training – Week 1 | So What? I run. What a beautiful day to start training! It was great to see old friends again and the energy of excitement of taking on another challenge was in the air. We were scheduled to run 8 to 10 miles, so our little crew started off with 8.5 miles as all of us were coming back from injuries and thought it was best to take it easy for the first long run. Personally, I’ve been dealing with a knee issue caused by tightness in my calves and quads according to my Physical Therapist. I also developed Meralgia paraesthetica in my right hip. Don’t worry…that’s sounds worse than what it is. It’s just a pinched nerve in the hip area that makes my right quad numb. You can hit my thigh and I won’t feel a thing! Cool, huh? Anyway, I need to do more stretching, rolling, and yoga to kelp my knee, and I need to get some steroid injection in my hip for my nerve….I’ll wait to do this as long as I can. I was definitely off of my normal routine. I thought I had everything ready until I went to make breakfast. My normal pre-run breakfast consists of a banana, whole wheat English muffin with peanut butter, and coffee. I had no banana, no English muffin, but I had coffee!!! I decided to try my recovery shake (egg white protein powder w/chocolate soy milk) and a hamburger roll instead (I had to improvise!) . Boy did that try to come back to haunt me during the run! My stomach made some threats, but thank goodness it didn’t make good on them. I have been fortunate enough not to have to drop a deuce in the middle of a run anywhere…so far! I did a GU at around mile 3 and hydrated with water only. This will change as the distances go longer. Then there was the Garmin. I have a love-hate relationship with my Garmin. Sometimes it charges, sometimes it doesn’t. Sometimes I remember to turn it on, sometimes I don’t. Sometimes I remember to start it again after a water stop, sometimes I don’t. Today was one of the days where I forgot to start it back up after a water break, so I lost about .25 miles on my Garmin. I also forgot to turn it off when we were finished, so the time for the last mile and total average pace was way off. The picture below is a total lie and it irritates me. I’m a little OCD with my numbers and these are just all wrong. WRONG I SAY! 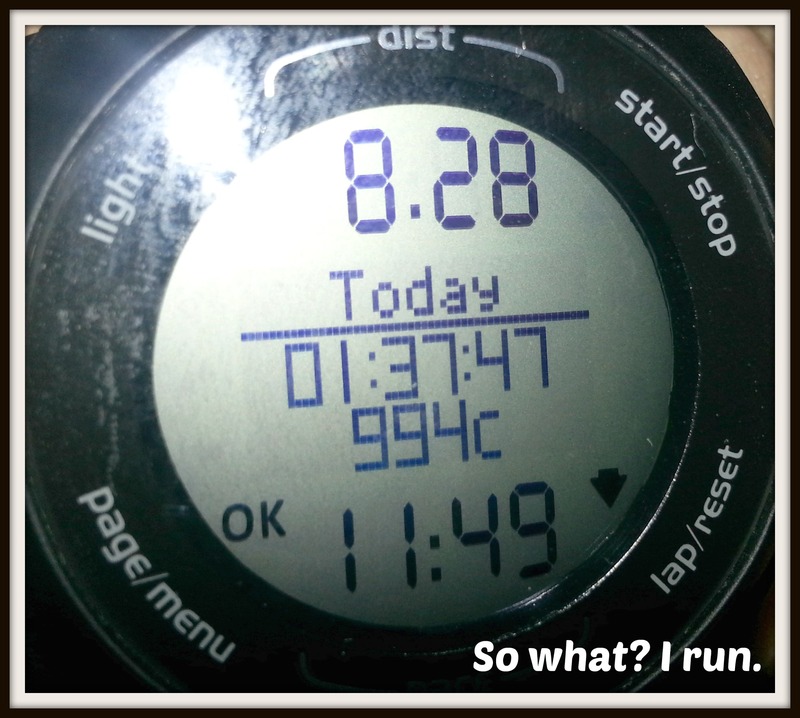 Despite the stupid Garmin and the ooopsie on the breakfast, the rest of the run was fantastic. I got to run with two of my Six Pack Sole Sisters (more about them in upcoming posts) and a new guy who joined our group for the first time. We shared stories, talked poop…literally, and pushed each other though. I was very nervous about this season and after enduring a heavy Spring race schedule (3 half marathons, 1 – 10K, and 1 – 5K in 6 weeks), I didn’t think I had it in me to run another marathon. One of the best things about joining a training group is that you train smart and you build your confidence. Running is 80% mental, right? Today’s run gives me hope that the next 18 weeks will be just fine. But the BESTEST thing about the training group (yes, I know that’s not a real word), are the friendships you make! After what seems to be a looooong break from training, it was just wonderful to be out there with my running buddies. THRILLED to be back out there again! This entry was posted in Marathon Training, Running and tagged Garmin, Long run and short run, Marathon Running, marine corps marathon, Road Running, Running by SoWhatIRun. Bookmark the permalink. Talked about poop, and “pushed each other through.” Love it! Doesn’t it always seem to be about the poop. ha!